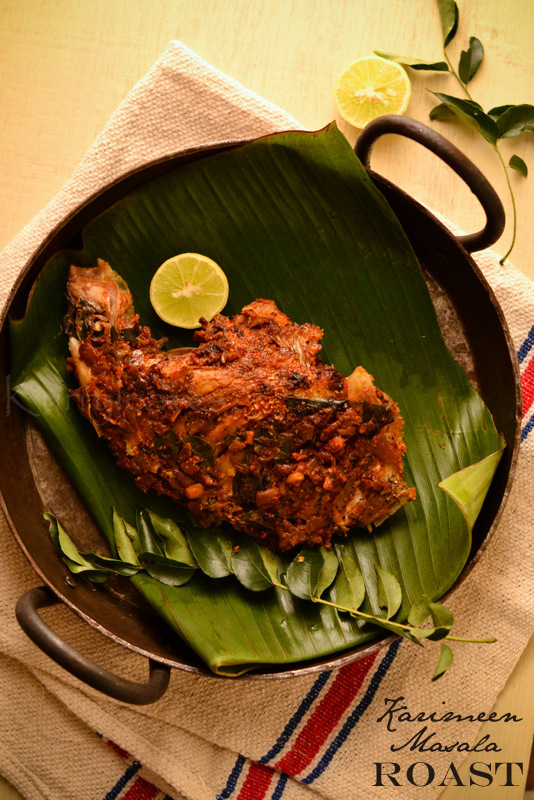 Kerala style fried Pearl spot with spicy onion masala. Soak dry red chilies in water for about 15 minutes .In a blender combine together soaked( drained) red chilies and the rest of the ingredients listed under ' For masala paste'.Grind to form a smooth paste.Add salt to taste and mix well. 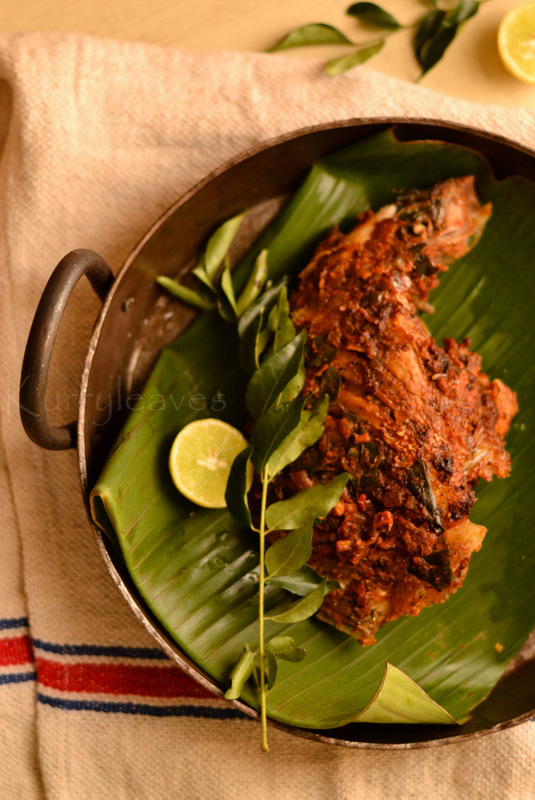 Make deep slits on the cleaned fish.Take half of the prepared masala paste and rub it well on to the fish.Keep aside for atleast 30 minutes. Next to prepare onion masala- heat oil in a pan,add ginger and saute for few seconds or until raw smell leaves.Now add onion,shallots,green chilies and few curry leaves. Saute until onion turns golden brown.Next add the remaining masala paste and cook,until oil starts to separate.Stir well in between to avoid burning. Add water and salt to taste.Mix well and cook until the gravy turns thick and spreadable. Next heat oil in a pan and add 2 sprigs curry leaves.Shallow fry the marinated fish until it turns brown on both the sides,turning once in between.Transfer the fried fish onto a serving plate and spread an even layer of the prepared onion masala on both sides of the fish..(Cover and keep aside for atleast 15 minutes before serving for the flavors to mingle. )Serve with rice or chapathi. Adjust the quantity of dry red chilies according to your taste.If you want it less spicy, remove the seeds before preparing the masala or you can use dry Kashmiri red chilies instead of dry red chilies. Made it. It was awesome. Thx.